I like many of BonChon's offerings. Aside from the chicken I also order their calamari, chapchae and their fish and fries. I haven't tried this soup so I convinced my friend to have merienda at the store and order the item. My initial reaction was, "Is this what we ordered?". It looked like something scooped out of a clogged kitchen sink instead of a pot. The soup looked so greasy and all those floating sesame seeds and other stuff gave it the appearance of what we call "pinaghugasan ng plato" (water where one washed used plates). At first I didn't want to touch the soup but then I wanted to do this blog so I decided to taste it. The soup was both salty and sweet at the same time and yes, very oily. 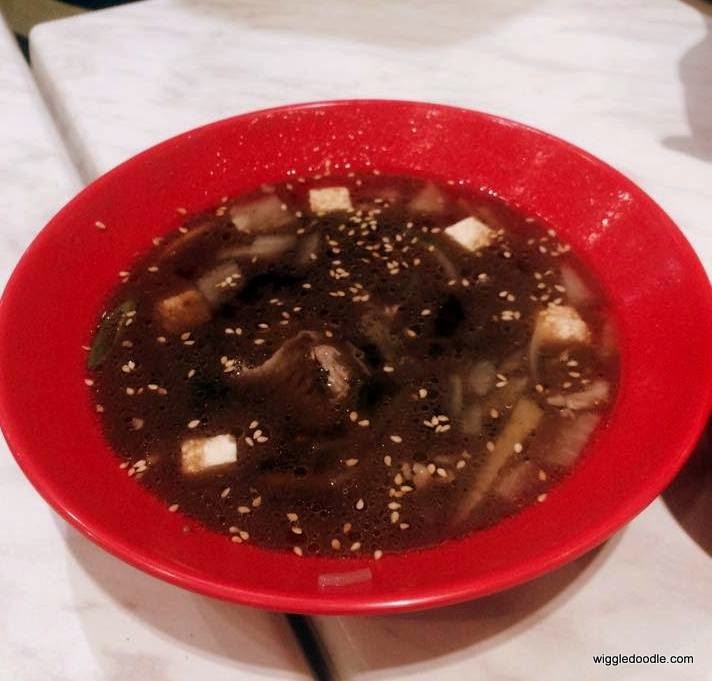 You have to dig deep to get the vegetables, beef and noodles. The vegetables were overcooked. while the glass noodles were a bit soggy. The beef was just right. Over-all this noodle soup was not really satisfying, but it was not as bad as it looked. I have nothing against companies making their product look good in their advertisement. 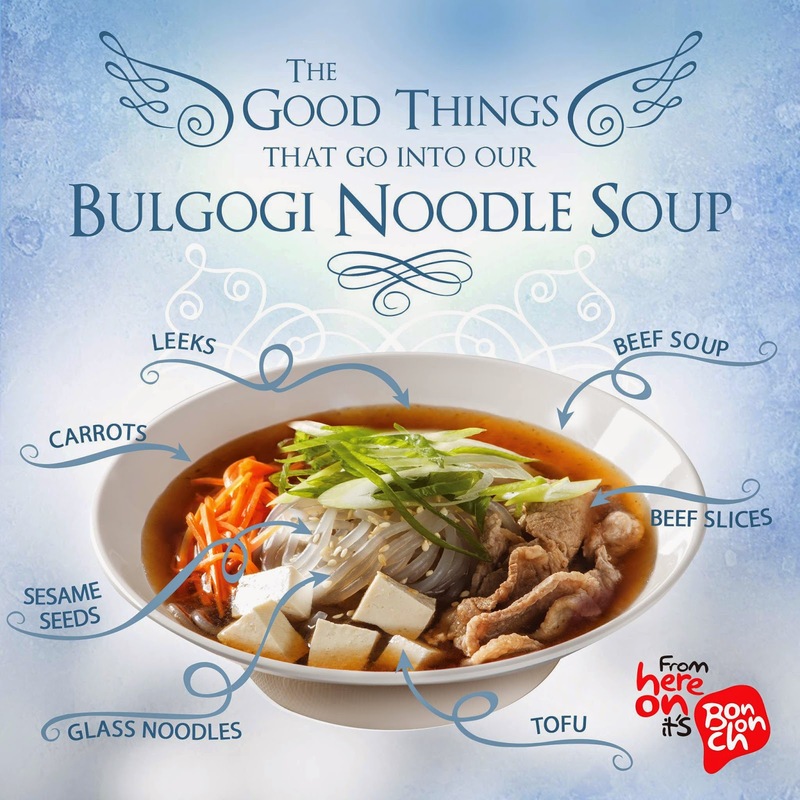 I only wish BonChon didn't make their promotional material so detached from what their product actually looked like, or maybe they could have made their Bulgogi Noodle Soup looked better. I know it is a fast food chain and their products are inexpensive but that doesn't mean they should not think about presentation. Lesson learned. Next time I will be more cautious.